Targeting former fraud victims, the fraudster poses as a legitimate organisation, claiming they can apprehend the fraudster and recover any monies lost – for a fee. The person who contacts you will not be who they claim to be, nor will they help you recover the money you’ve already lost. 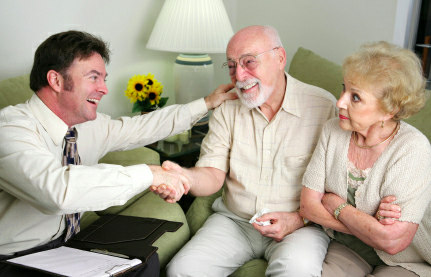 If you respond to their offer of help, they will ask you for various fees, such as release and administration fees. If you pay these fees, they will keep coming back to you with another fee that has to be paid, before your money can be returned. If you ask them to take the fees from the money they claim to have recovered, they will give reasons why this isn’t possible. For example, your money is under the control of a court and can only be paid back to you personally. The fraudsters may also ask you to provide details of your bank account so they can pay your money into it. They will use this information to empty your account. Are you a victim of fraud recovery fraud? You’ve been contacted, either by phone or email, by someone saying they are a lawyer, a law enforcement officer or an official working for a government agency in another country. They know you’ve already lost money to a fraud and tell you they can recover your money for you. You’ve paid them a fee in order to recover your lost money. What should you do if you’ve been a victim of fraud recovery fraud? Break off all contact with the fraudsters. Don’t send any more money. Don’t tell them your bank details. If you have given the fraudsters your bank account details, alert your bank immediately. Beware of any unsolicited communication you receive about being a victim of fraud from people you don’t know, or companies you’ve never contacted. If they sound plausible, ask where they found out that you had been a victim of fraud. Any report of fraud is subject to data protection and would not normally be shared with anyone outside of law enforcement. Genuine law enforcement and other agencies don’t charge fees when returning money to crime victims. Any request for fees indicates a fraud – particularly when you’re asked to pay upfront. or regulatory agencies for lawyers. If you find that the details don’t match, it’s likely that you’re dealing with fraudsters. Genuine government or law enforcement agencies and law firms don’t normally use webmail addresses such as @Yahoo or @Hotmail. So beware if you are asked to contact one of these email addresses. Foreign law enforcement agencies and other official organisations normally ask UK authorities to help return money to fraud victims. If someone claiming to work for an official overseas agency contacts you directly, this is a good indicator of fraud. If the service sounds too good to be true, then it probably is.